Over the past several years, Google has faced three antitrust cases by the European Commission regarding Google Shopping, AdSense, and Android’s dominance in the smartphone market. The Commission’s ruling regarding Android will likely arrive in the next several months, slapping Google with a possible multi-billion dollar fine. But rivals and market watchers believe fines and regulations won’t make a significant difference. Outside Apple’s iPhone, Google’s Android is the dominant operating system in the smartphone market. It’s typically unaltered packing first-party apps such as Google Maps, Gmail, Google Search and so on, peppered with apps developed internally by smartphone makers. Typically, any “customization” involved relies on visual tweaks to the overall interface and special “launchers” that change the appearance of the home screen and app drawer. Device makers have attempted to offer smartphones with altered, “forked” versions on Android. Amazon made such an attempt with its failed Fire Phone in 2014: A 3D-enabled phone powered by a modified version of Android the company calls Fire OS. It’s the same platform Amazon uses for its Kindle Fire-branded tablets, Fire TV, Echo, Echo Dot, and more. Meanwhile, Samsung’s use of Tizen initially seemed the end of Android on its smartphones, but the company still uses Google’s operating system on its Galaxy devices. That said, there is no real alternative to Android. 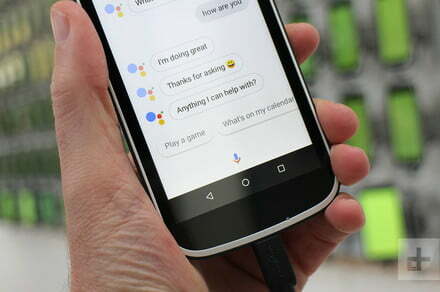 Even more, Google commands 90 percent of the European search market and provides revenue sharing payments to smartphone makers who pre-install Google Search. Individuals siding with the European Commission claim the company provides strong incentives, too, leaving smartphone makers unable to promote alternatives to Google’s apps. Anything distributed outside Google Play could be considered as untrustworthy by users. That’s because Android’s app-related problem spans years. In the early days, smartphone makers were altering Android to distinguish their products against competitors. Meanwhile, third-party app stores not governed by Google or device manufacturers lured in device owners. The resulting malware epidemic seemingly pushed customers to prefer “pure” Android builds and Google Play apps. The only exception is Amazon’s Android apps store, which still must be side-loaded on Android devices. Seemingly to keep the “pure” theme intact, Google pushes smartphone makers to install the Chrome browser and other first-party apps if Google Play is present. But smartphone makers still have an option to install their own stores and apps, such as Samsung’s Galaxy Apps store on Galaxy-class smartphones. Obviously, Google isn’t completely banning third-party apps from Android, but the European Commission still seems to think that some type of regulation is in order. But European Commission sources claim that it can’t simply order Google to change its Android business under European law. If anything, the Commission can slap Google with a fine and make suggestions: Stop enforcing first-party app installation and stop paying device makers for installing Google Search. Will that make a difference in the overall Android picture? Probably not.